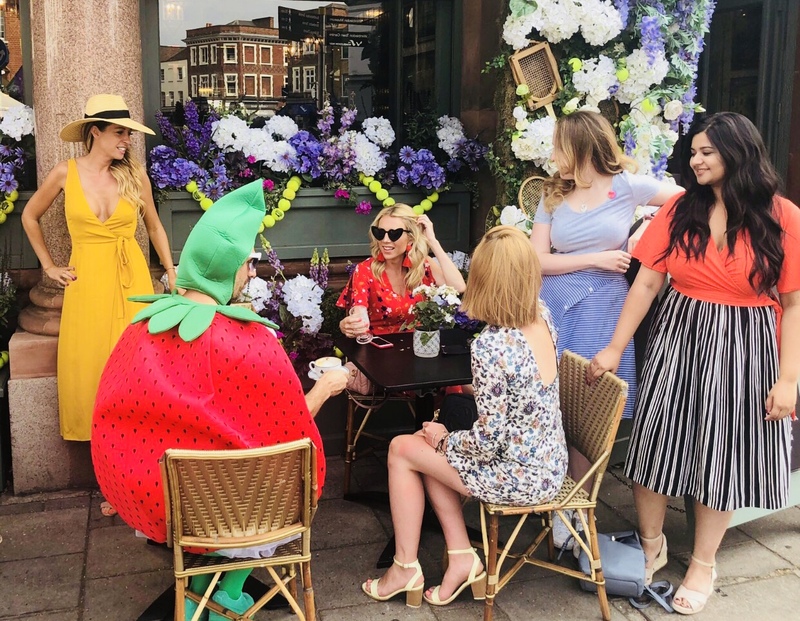 Freshly manicured and blow dryed after our beauty treatments at SHOW, Lady W and bloggers were ready for a day of celebrations in Wimbledon. 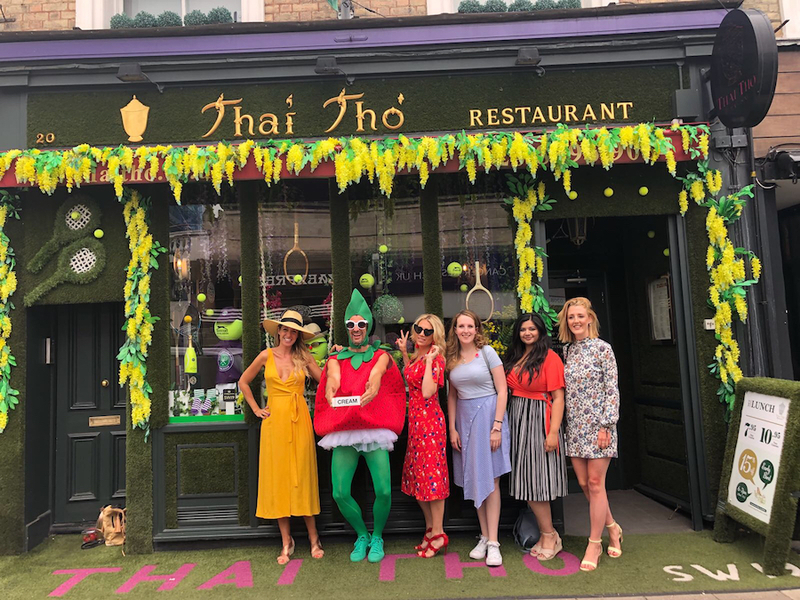 We went across the road to grab an iced tea from Thai Tho which went down refreshingly on this hot summer’s day. 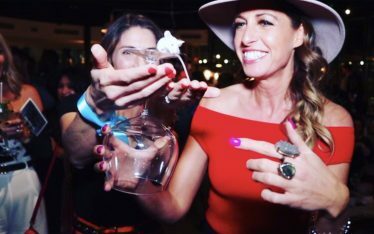 Inside, we met Diobo the magician who stunned us all with his levitating strawberry magic trick. 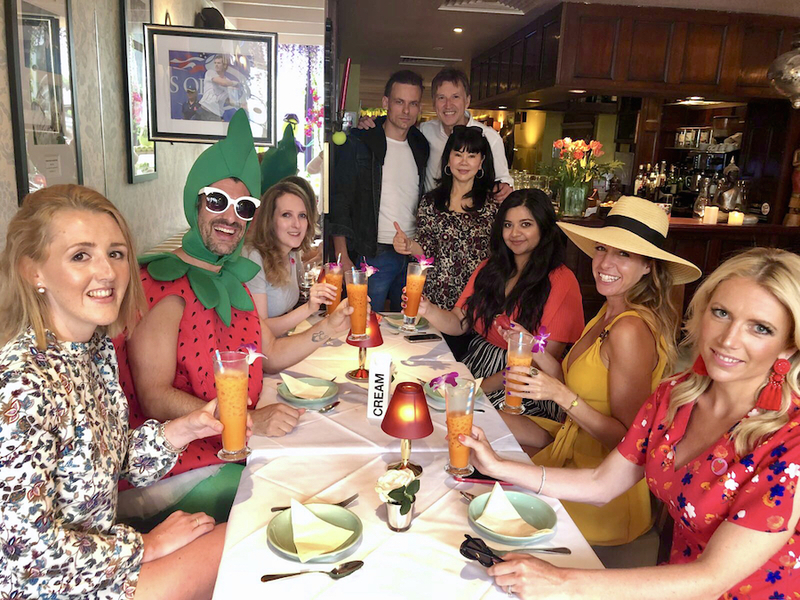 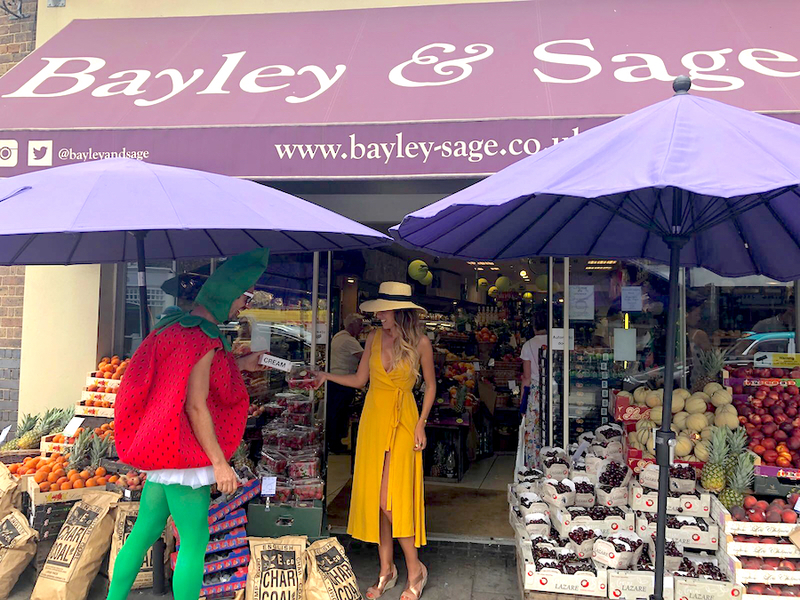 With strawberries on our mind, we headed to Bayley & Sage to pick some of our own and found tennis player Tommy Haas who had beaten us to the post. 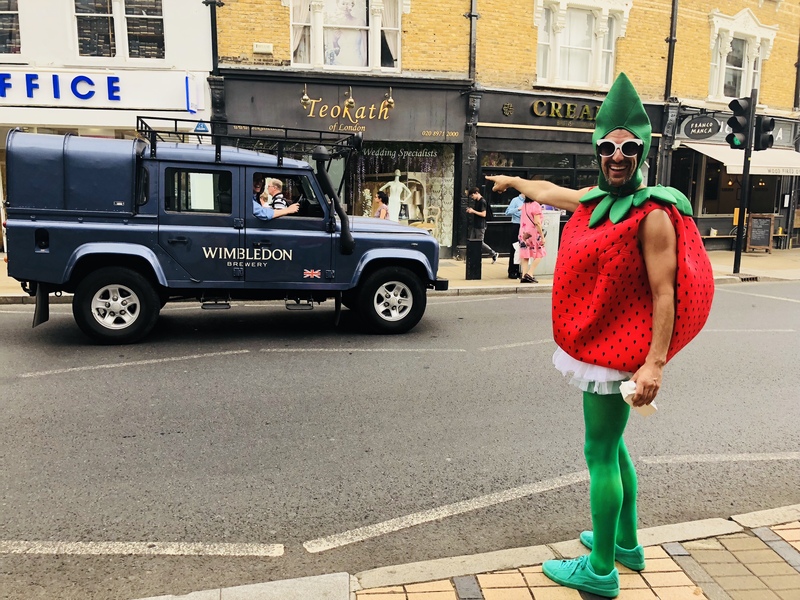 A walk through Wimbledon and we spot good friends, Wimbledon Brewery, driving their truck through town. 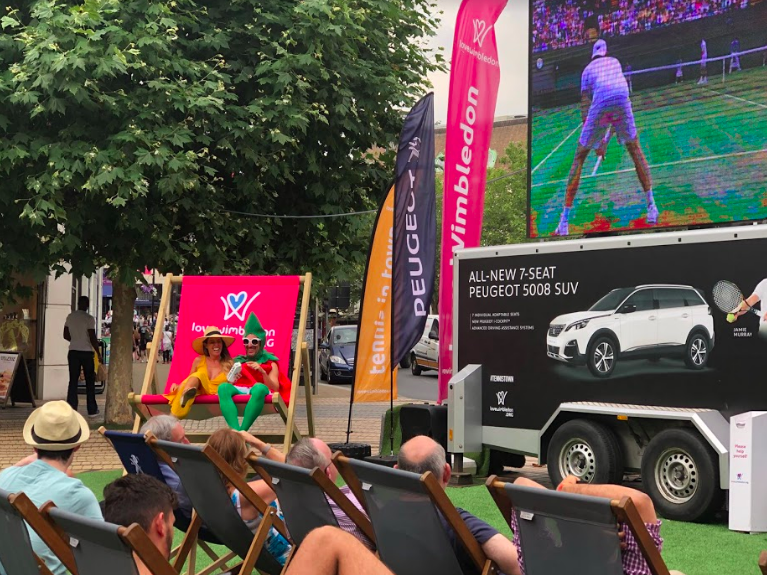 Next, we took Strawberry Man to Wimbledon piazza to catch the tennis action live on Love Wimbledon’s Big Screen. 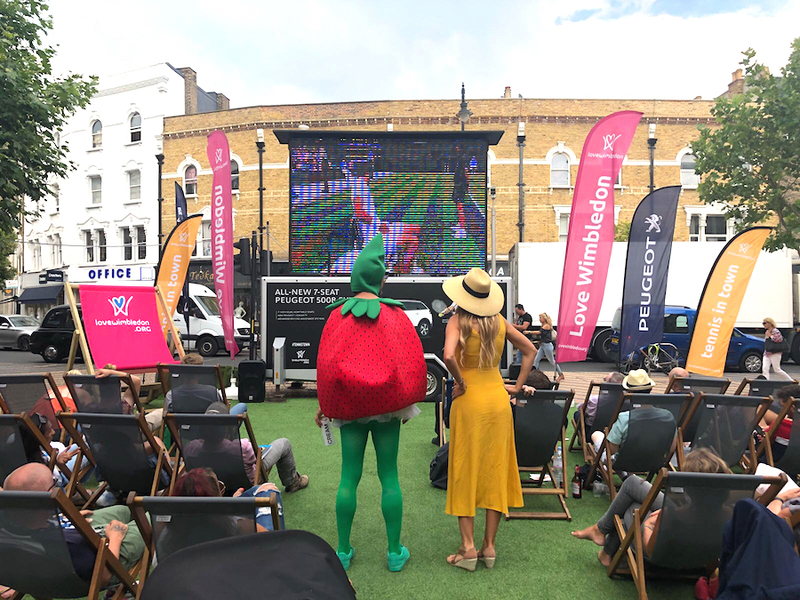 With deckchairs full, Lady W and Strawberry got comfortable on the best seat in the house. 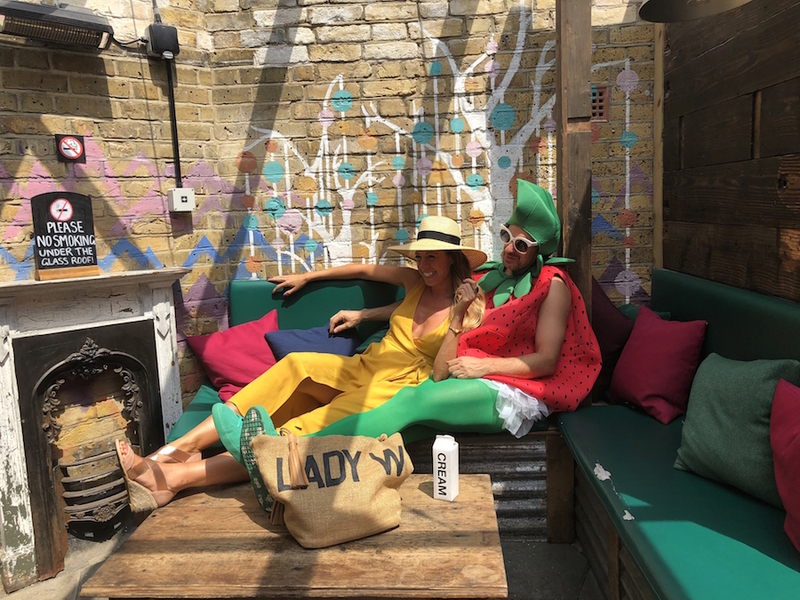 After the match, it was time to get a drink at The Loft where we watched the world go by from their roof terrace. 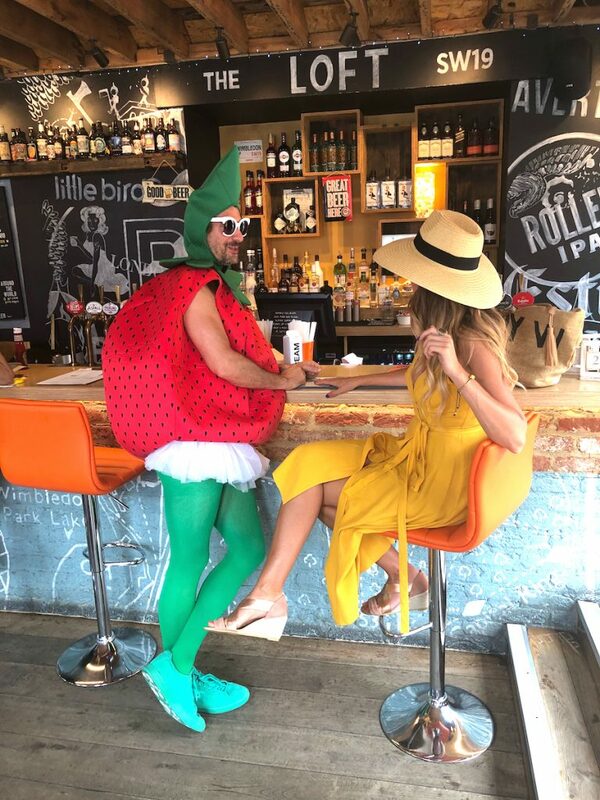 Wimbledon truly is a wonderful place to be at the best of times, and an unmissable piece of the action for tennis fortnight. 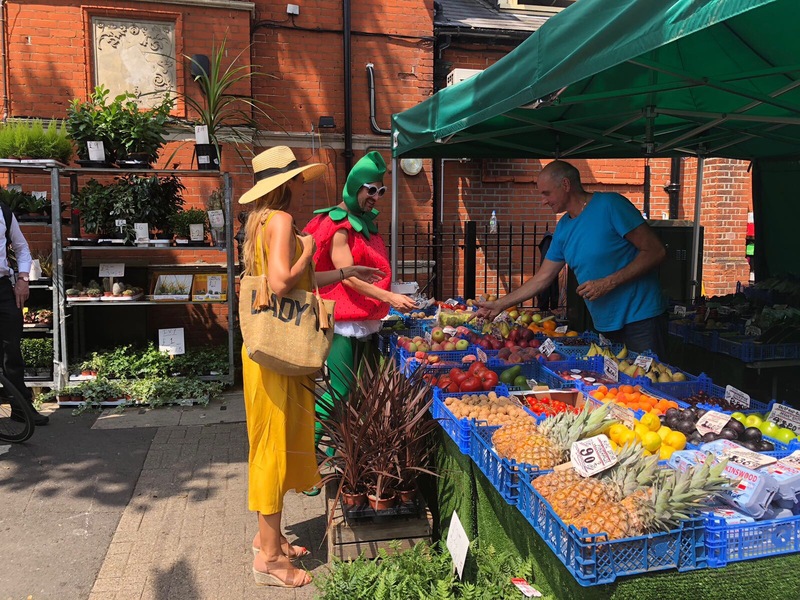 Strawberry Man picked up his favourite berries: strawberries, from a fruit and veg market stall in Wimbledon town. 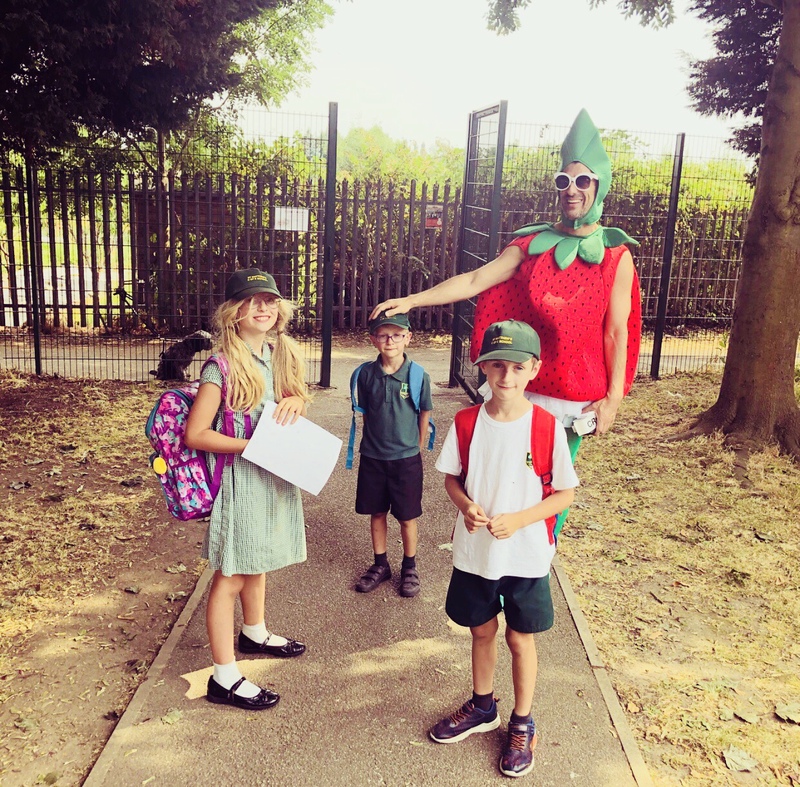 At 3pm, it was time for the school run for Strawberry Man and Lady Wimbledon. 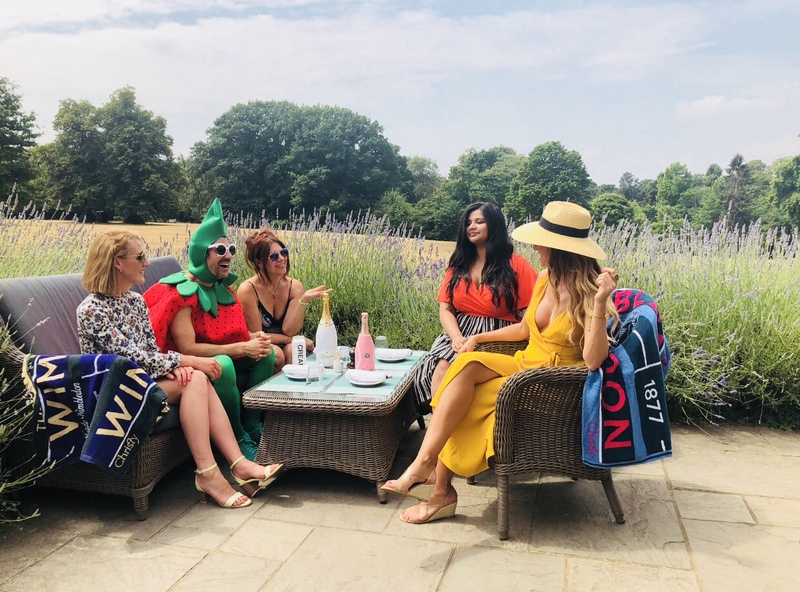 Time for a spot of afternoon tea at Cannizaro House, Wimbledon Common. 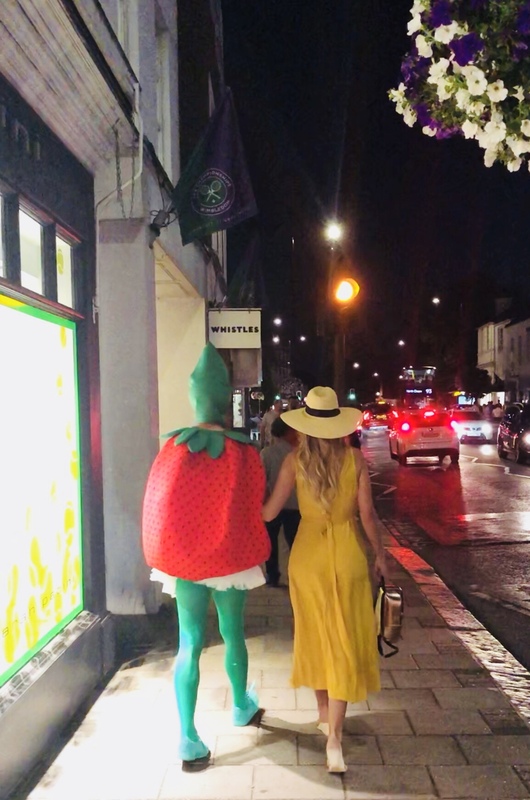 As the moon shone down on Strawberry Man and Lady Wimbledon, they ended the day with a stroll along Wimbledon Village High Street.